Are you concerned about the social disadvantages of homeschooling? One of the chief criticisms of home education is that homeschooled children won't receive proper socialization. Most individuals who raise the issue of homeschooling and socialization are simply concerned that homeschoolers won't learn good social skills and develop relationships with their peers. Proper socialization involves the use of good manners, respect for others and their property, the ability to make friends and resolve conflict, and familiarity with cultural norms. By default, children who are educated at home won't learn these skills in a classroom environment. The good news is, homeschoolers can still learn good social skills by interacting with parents, siblings, family friends and those they meet out in the community. For example, a simple trip to the grocery store is an opportunity to learn and practice good manners. A visit to the doctor is an opportunity to learn respect for those in authority. And participation in sports, dance, scouts and other activities provides opportunities to form friendships and interact with peers. Although homeschoolers aren't socialized in the same manner as their peers who attend public school, they still learn how to interact with and form relationships with others. 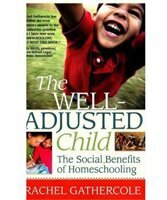 The book, The Well-Adjusted Child: The Social Benefits of Homeschooling, does an amazing job of providing a glimpse into the social lives of homeschoolers. The author, Rachel Gathercole, debunks common myths about homeschool socialization, and shares from her experience as a home school mom of three children. Homeschoolers will be at a disadvantage during college because they are unfamiliar with learning in a classroom environment. While it is true that learning at home more closely resembles one-on-one tutoring than it does traditional classroom learning, homeschoolers still learn in group settings while participating in support groups, co-ops, religious programs, community college courses and other classes in the community. They also have more of an opportunity to develop independent study skills that are required for success in college. Students who are taught at home do not have access to adults other than their parents. Although some adults are concerned that homeschooled students won't have access to other adults if they need help with neglectful or abusive situations at home, the fact is, most children who are home educated are not at home all day. Homeschoolers interact with adult family members, family friends, doctors, church leaders and other members of the community. Child abuse is an unfortunate part of our society. However, most abusive parents have no interest in teaching their own children, and many children attend public school daily, yet continue to suffer abuse. Home educated students won't learn to interact and cooperate with those who aren't like them. Children who attend public school spend most of their time in classrooms with other students who are the same age, live in the same neighborhood, and share the same race and social class. Because homeschoolers spend more time out in the community interacting with individuals of a variety of backgrounds and ages, they have more of an opportunity to learn about and appreciate diversity. Homeschoolers won't form childhood friendships. School is not the only place where children can make friends. Although home educated students aren't with their peers all day, they can still make friends with neighbors and other children they encounter through church, karate, dance, scouts, and other activities. Children who are taught at home won't learn to deal with bullies. Most children who attend public school will face bullying at one time or another, and for some, those interactions will cause lifelong scars. While most homeschoolers won't be forced to endure bullying, they will encounter difficult individuals during the course of daily life. One of the main benefits of homeschooling is that children won't have to face these conflicts alone. They will have loving adults nearby to coach them through challenging experiences. Homeschooled students will be culturally illiterate. I will admit that there are times when my children attend birthday parties or other events, and are clueless about the latest fads. However, my children's friends are always more than willing to tell them about the latest movie, game or toy, and television provides them with more than enough exposure to popular culture. Homeschoolers are socially awkward. Have I ever met a homeschooler who is socially awkward? Yes. I also met many children during my days in public school who were socially awkward and saddled with negative labels, like geek or nerd. In my opinion, another one of the main benefits of homeschooling is that children who seem socially inept have time to mature and develop good social skills without having to endure ridicule from their peers. Children who don't attend school will miss out on pep rallies and other fun experiences. This is one of the social disadvantages of homeschooling that has some merit. However, while it is true that homeschooled children will miss out on some of the fun experiences we had in school, they will also escape many of the negatives we encountered, and they will have equally fun experiences of their own. Still concerned about the social disadvantages of homeschooling? Read The Well-Adjusted Child: The Social Benefits of Homeschooling. Follow these links to learn more about homeschooling and socialization and the social advantage of homeschooling. 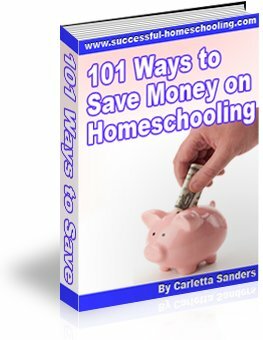 Concerned about other problems with homeschooling? Here's a chart that provides an overview homeschooling pros and cons.